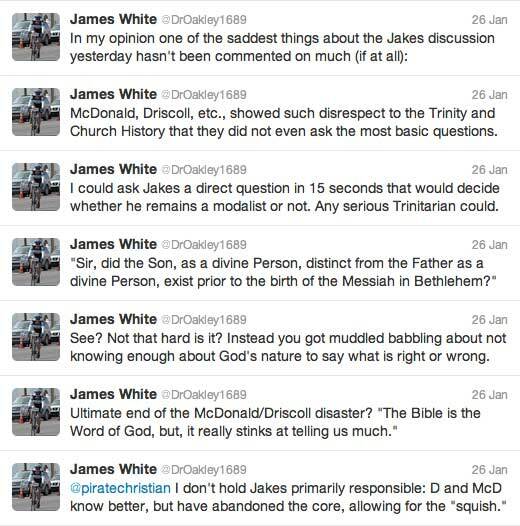 James White, director of Alpha and Omega Ministries, author of over 20 books, professor, accomplished debater and apologist, has weighed-in on the controversy concerning T.D. Jakes’ orthodoxy. Should Jakes respond, I shall be sure to cover the news here. I was initially planning to publish the transcript of session #4 between Mark Driscoll and Bishop Jakes, where Bishop Jakes confirmed his Trinitarian belief and affirmed “God in three persons, eternally existing.” He disavowed modalism, while expressing his great love and appreciation for his spiritual heritage including Baptist, Methodist, and Oneness. I wanted to publish the conversation word-for-word to keep people from distorting it, but on our staff we talk about the importance of the ‘second decision.’ The second decision is where you admit that the first decision was a bad one. I have decided not to publish the transcripts of any conversations from Elephant Room. Someone already did though, remember? 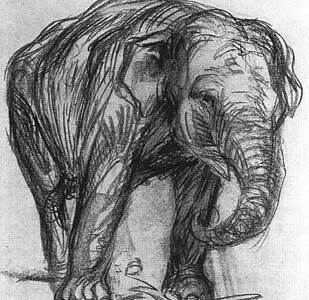 Previous Previous post: Elephant Room 2: may we now regard T.D. Jakes as Trinitarian and orthodox?